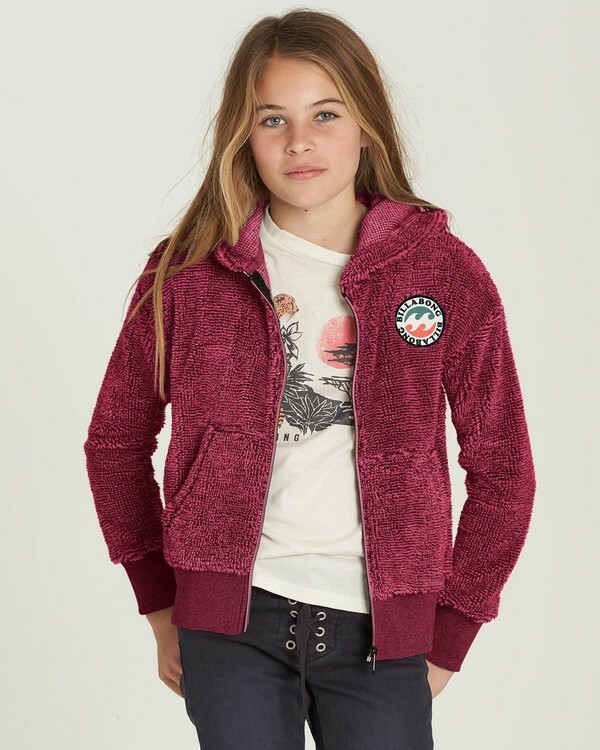 Bring the heat without straying from the classics with the New Love hoodie for girls. A double brushed polar fleece fabric delivers added heat to the core zip-up hoodie, topped with a signature logo patch at the left chest. Allover print or solid with logo patch at chest. Material: double brushed polar fleece.